The proposer is concerned that the number of women attending routine cervical screening is falling despite the number of lives the test saves each year. She would like to see the introduction of a WI awareness raising campaign to help tackle the reasons for this. Regular cervical screening is the best way for abnormal cells to be picked up early and treated (if necessary) to prevent cancer developing. It is estimated that the test currently prevents 70% of cervical cancer deaths. However, this figure could be 83% if all eligible women attended. According to statistics published by NHS Digital, 72% of eligible women in England had been screened within the specified time frame as of March 2017. This is a decrease from 75.7% in 2011. Attendance is lowest amongst women aged 25 to 29 (62.1%), yet cervical cancer is the most common cancer among women under the age of 35. In Wales, the number of women attending has also fallen slightly in recent years. As of March 2017, 77% of eligible women had been screened at least once within the last 5 years, a drop from 77.8% in 2015/16. In England and Wales, women aged 25 to 49 who are registered with a GP are invited for cervical screening (also referred to as a ‘smear test’) every 3 years. Women aged 50-64 receive invitations every 5 years. lack of understanding of HPV (human papillomaviruses) and the role it plays in cervical cancer development. There is evidence to suggest that a better understanding of what the test is for and why it is important would encourage more women to attend. Public Health England plans to launch a high profile campaign in early 2019. 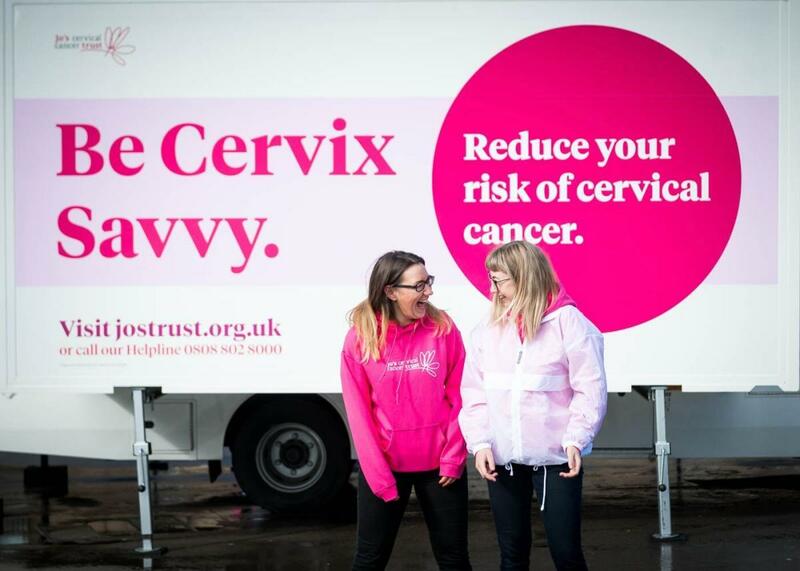 According to Public Health England, the voluntary sector can play a part in making cervical screening more accessible by “helping to raise awareness of cervical screening using their knowledge of local communities and through their outreach programmes”. Clinical Commissioning Groups (CCGs), local authorities and primary care teams also have an important role. Yet, data obtained by the charity Jo’s Cervical Cancer Trust found that 60% of CCGs and 44% of local authorities had not undertaken any activities to address the problem of screening attendance rates. Girls between 12-18 years old are offered the Human Papilloma Virus (HPV) vaccine. This helps to protect against four types of HPV, two of which cause 70% of cervical cancers in the UK. However, it is still recommended that women who have had the vaccine attend cervical screening so that abnormalities caused by other HPV types can be found early. Cervical screening can also help identify small cell cervical cancer, which the HPV vaccine does not fully protect against. For these reasons it is essential that all girls who have the HPV vaccine also attend cervical screening when invited. How could the WI work on this issue if it was passed? A full campaign would be developed by the NFWI if the resolution is passed, taking into account developments since then. To help inform your discussions, here are some ways the WI could consider working on this issue. At local and regional levels, members could help tackle some of the barriers preventing many women attending cervical screening by raising awareness of the screening programme and the benefits of attending. Members could also encourage primary care to run awareness campaigns and call on CCGs and local authorities in England and local trusts in Wales to take action to improve attendance rates. Nationally, the NFWI could build the evidence base around why some women do not attend cervical screening to help inform regional and local initiatives to tackle the problem. Alongside expert organisations, the NFWI could also push for improvements in care that are known to increase cervical screening uptake. Cervical cancer screening has been a longstanding concern of the WI. A WI resolution was passed in 1964 calling on the NHS to provide comprehensive and routine smear tests for all women in order to detect cervical cancer. This resolution would enable members to build on the WI’s earlier work to introduce routine smear tests by helping to increase public understanding of and engagement with the screening programme. There is an existing annual awareness raising campaign that highlights the importance of cervical screening and encourages more women to attend. Is there more the WI could add? Your local Clinical Commissioning Group or Local Health Board – they may be able to tell you what they are doing locally on this issue. If you have any questions please get in touch with the NFWI Public Affairs department. Over the last decade there has been a massive decline in the number of bus services, particularly of those in rural and semi-rural areas. In order to alleviate loneliness, improve health and well-being, as well as promoting sustainable development, the NFWI calls on the Government and local authorities to increase subsidies and work in partnership with bus companies and community transport operators to enable an adequate provision of services. The proposer would like the importance of a local sustainable bus service, particularly in rural areas, to be more widely recognised. In light of the falling coverage of bus services and the wide-spread impact on communities, this resolution calls on local and national government to take action. Since 2010, local authorities have faced budgets cuts which have put pressure on the delivery of local services such as health centres, post offices and libraries. Those without access to a car rely heavily on public transport, and the loss of a bus service can reduce access to services and facilities and contribute to social exclusion and loneliness. According to the Campaign for Better Transport, council bus budgets have been cut by 45% since 2010. Local authorities across England and Wales were found to have taken £182 million away from supported bus services over the decade, affecting more than 3,000 bus services in England and 259 in Wales. According to Rural England, about half of people in smaller villages do not have access to any public transport and young people’s access to education is being impacted by poor public transport provision. In the UK, approximately 80% of bus services are commercial. While this means they are not funded directly by local councils, operators of ‘local bus services’ in England and Wales are entitled to receive a grant (the Bus Service Operators Grant) to help recover some of their fuel costs. The grant, which is paid by central government to local authorities, is designed to keep fares down and enable operators to run services that might otherwise be unprofitable and might otherwise be cancelled. However, according to The Campaign for Better Transport, the Bus Service Operators Grant fell by 20% in 2012-13 and has not increased since. The Local Government Association has warned that as the cost of reimbursing commercial operators is more than the funding provided through the grant, these services are running at a cost to councils. As a consequence of funding pressures, bus services in many areas in England and Wales are gradually reducing. The Campaign for Better Transport is therefore calling on Government to develop a National Investment Strategy for Buses and Coaches. The charity notes that buses are the only form of transport in England not to have a long-term strategy. In June 2018, the Local Government Association (LGA) highlighted the scale of the problem warning that councils in England will struggle to maintain current subsidies for local bus services as their funding gap is likely to exceed £5 billion over the next two years. The Association reports that “many [councils] across the country are being forced into taking difficult decisions to scale back services and review subsidised routes”. The LGA is calling on Government to grant councils the powers they need to protect bus services as well as commit more funding. This call for additional funding has been echoed by the Future Generations Commissioner for Wales who has urged the Welsh Government to invest in public transport. While support for local bus services in some local authorities has been reduced or cut entirely, there are places where services have been protected and creative ways of managing them developed. A report for the Confederation of Passenger Transport identified a number of drivers of the reduction in bus journeys, including increasing car ownership, increase in online services and home delivery, reduced bus services and increased bus journey times (due to congestion) and increases in bus fares. Other drivers include changes to working patterns and competition from other forms of public transport. In July 2018, the House of Commons Transport Committee launched an inquiry into the health of the bus market. The Bus Services Act 2017 gives councils power to work in partnership with local transport companies to look at measures to improve local bus services and encourage the public to use buses. 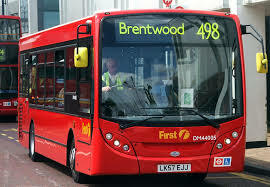 If bus companies cannot operate commercially in an area, the Act calls on councils to take action to ensure that provision are available by partnering with bus operators. A full campaign would be developed by the NFWI is the resolution is passed, taking into account developments since then. To help inform your discussions, here are some ways the WI could consider working on this issue. At local and regional levels, members could raise awareness of the importance of local bus provision, especially in rural areas, and promote bus use as a sustainable form of transport. Nationally, the NFWI could work with organisations such as Campaign for Better Transport and the Local Government Association to call on Government to provide more funding to local authorities for the provision of bus services. A bus service is a vital tool for connectivity, growth and social cohesion. It ensures that communities remain sustainable, reduces social isolation and ensures access to employment, education and local facilities such as shops, leisure centres and health services. The NFWI already has a number of mandates relating to public transport in rural areas (June 1956, May 1963 and April 1948) so a new one may not be deemed necessary. Local passenger groups – some groups are listed here but there may be others in your area.